Ludosity have just published their second game from Regnslöja – Healthy Weapon! The first proper fighting game on Android that is truly made for touchscreens! Challenge anyone sitting next to you to a brutal fruit smackdown – Or just play single player in one of four modes: Arcade, Practice, Survival and the frustrating Unfair. 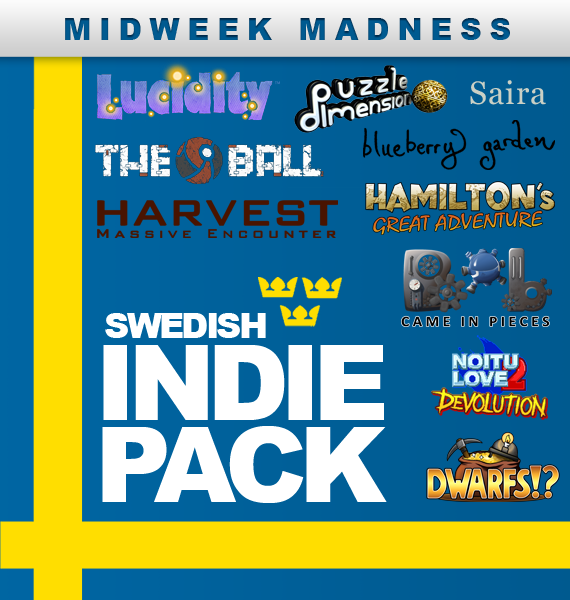 So Bob will be in the Midweek Madness deal on Steam this week, we call it the Swedish Indie Pack. If you like the colors blue and yellow, blond naked women, meatballs (hehe), auroras or tennis you should check this out. Oh, and if you like games. If you like games you should definitely check this out!